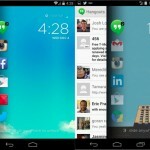 As advanced as new smartphones are, battery life can still be an issue for people who use a lot of juice-sucking apps. Sound like a familiar first-world problem? 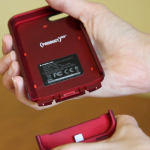 Luckily, the next generation of battery cases is here. 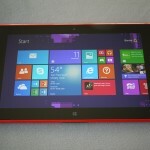 They’re slimmer than earlier models, and they promise more. They’re not perfect, but they’re pretty darn good. 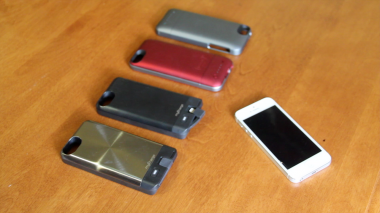 Over the past week and a half, I’ve been comparing three cases for iPhone 5: Mophie’s $100 Juice Pack Air, the slightly less powerful $80 Mophie Juice Pack Helium, and MyCharge’s brand-new Freedom 2000 case. The Freedom 2000 also costs $80, and yet it claims to give even more extra juice than the Mophie Juice Pack Air. 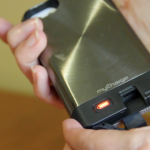 While Mophie has been making smartphone-charging cases since the days of the original iPhone, MyCharge is a relatively new company, mostly making portable charging packs. Its iPhone 4/4S charging case never even made it to market. 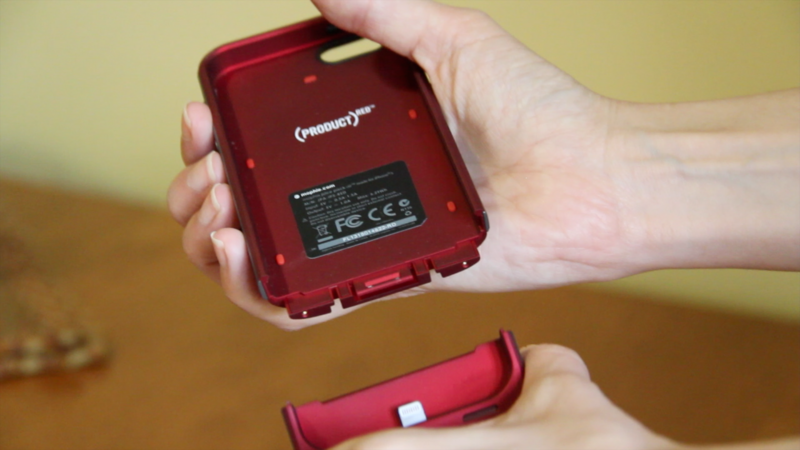 The best part about this new MyCharge Freedom 2000 case is that it doesn’t add the additional junk to my iPhone’s trunk the way the Mophie packs do, with their slide-on bottom attachments. But it does have one notable design flaw: It renders the phone’s power button pretty much useless by covering it with a plastic “dummy” button that barely sticks out. I found it nearly impossible to power off the phone or take screen grabs with this case on the phone. Still, after using the MyCharge, the Mophie packs felt big and long in comparison, especially when I was holding my phone in my hand during a long run outside. And the Mophie Juice Pack Air is expensive, at a third of the cost of the iPhone. The Mophie Juice Pack Helium is a little more reasonably priced, and still provides a good amount of extra battery life. 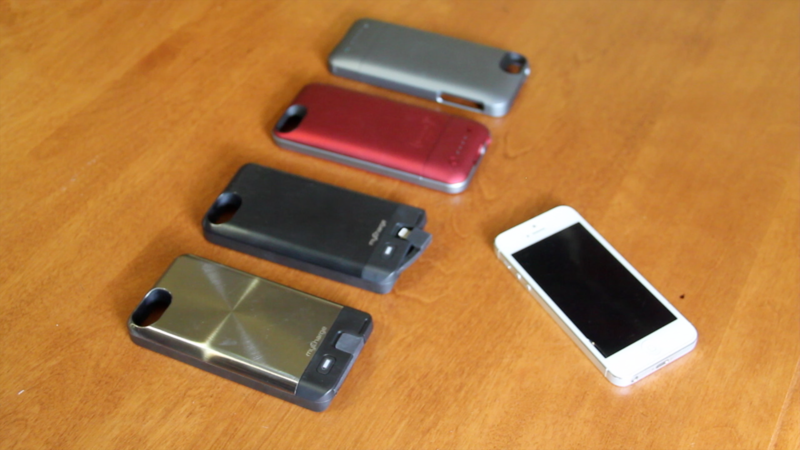 From left to right, the MyCharge Freedom 2000 (in gray and black), the Mophie Juice Pack Air and the Mophie Juice Pack Helium. But let’s say you’re still considering one of the Mophies — it’s important to know the differences between the two cases I looked at. The Air is Mophie’s top model, claiming 100 percent extra battery life that’s drawn from a 1,700 milliamp (mAh) pack inside the tough plastic case. The Helium, by comparison, promises 80 percent extra juice from a 1,500 mAh case. The Air, at 5.5 by 2.6 by 0.6 inches and 2.68 ounces, is just a little bit larger and heavier than the Helium, but the size difference is barely noticeable. 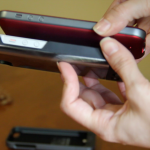 Both the Air and Helium packs split apart and then reattach to form a case around your phone. The bottom portion of each pack has a built-in adapter that connects to your iPhone 5 to charge it. Another small but noteworthy difference between the two — the Air covers the entire band of the iPhone, whereas the Helium case has a gap on the side to let the phone’s buttons hang out. While Mophie likes to say the Air offers more “protection” than the Helium, I just don’t like plastic obstructing the phone buttons. On the back of the packs, there are LED light indicators to let you know when each pack is charged. One light means low battery, and all four lights signal that the Mophie is ready to go. The Mophies also have a “standby” switch: Flick it to begin charging, and snap it back to put the Mophie in standby mode. In my unscientific tests of these cases, I used my iPhone 5 as I would on a normal day, taking a handful of phone calls that lasted 30 minutes or more and running multiple apps, like Twitter, Facebook, Google Maps and Gmail. I connected to both an LTE cellular network and a Wi-Fi network when available. The display was on about 75 percent of maximum brightness. This would normally last me from approximately 8 am to 5:30 pm, or nine-and-a-half hours. 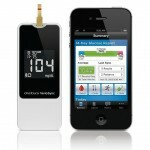 I began using the Mophie Air in the early evening, when my phone’s battery dwindled to under 5 percent. Within an hour and a half, my phone’s battery had been boosted to 84 percent. Shortly afterward, the Mophie itself was out of juice. I answered work emails, made phone calls and played mobile games. I went for a long run, using both streaming music and fitness apps, and used Foursquare to find dining options. In total, the Mophie Air got me just about eight hours of extra battery life — enough so that when I woke up the next morning, the phone still had some life. In a separate test, the Helium boosted my 5 percent-charged iPhone to 78 percent before the pack itself died, and ultimately got me nearly as much extra juice as the Air. 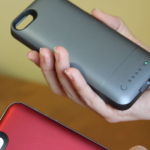 So, given the choice between these two, I’d go with the less-expensive Mophie Helium. But if you’re going to consider spending $80 on a battery case, and you prefer a case that lets your phone buttons hang out freely, that’s where the MyCharge Freedom 2000 comes in (hence the “Freedom”). 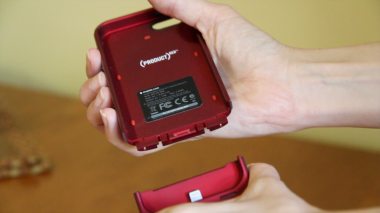 This one has a 2000 mAh rechargeable battery, claiming 110 percent extra battery life. 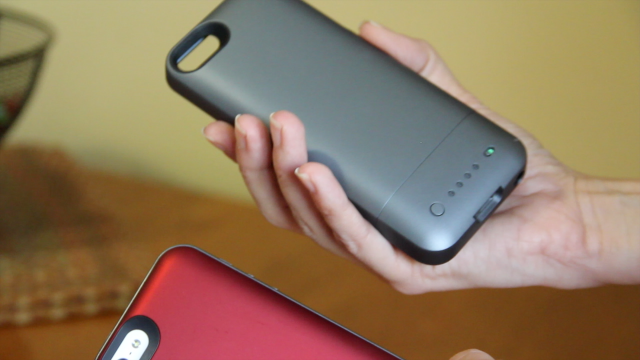 It’s a few ounces heavier than the Mophie Air pack, but is only 5.1 inches long compared with the 5.5-inch Mophies. 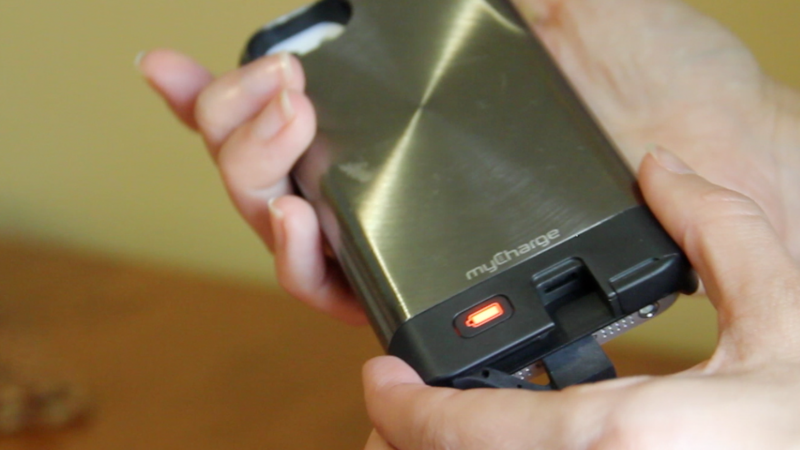 The MyCharge has a tiny tethered arm that extends from the bottom of the case and connects to the iPhone 5. I like this extendable arm: It’s small enough to go unnoticed, and yet I knew from a quick glance at my iPhone whether I was charging or not, depending on whether the connector was plugged in. It also has a multicolored LED indicator light to let you know when the pack is charged (green), or alternately, when it’s dead (red). 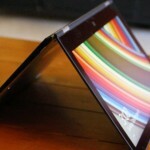 And, finally, it has a gap on the side to give the phone’s volume buttons some breathing room. 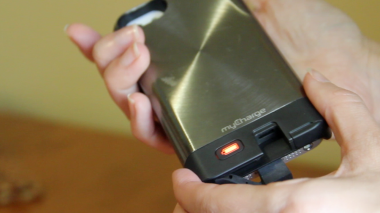 The first time I put the MyCharge through my test, the pack’s indicator light was green, leading me to believe it was ready to go, and yet it stopped charging my iPhone at 47 percent of its maximum battery capacity. 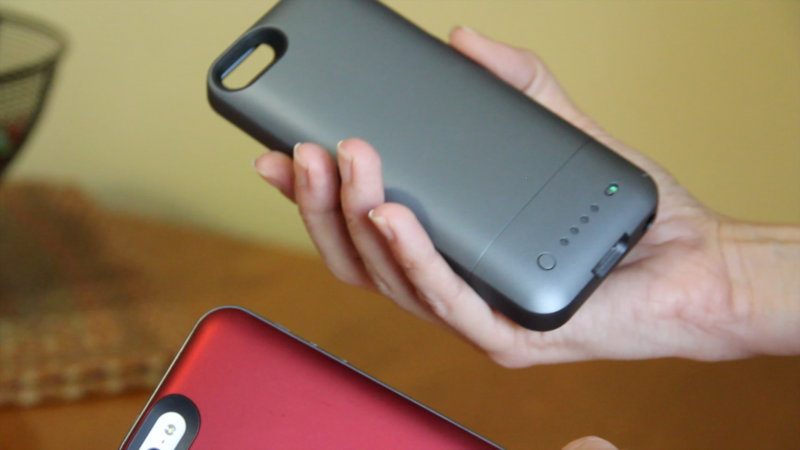 In follow-up tests, however, it basically matched the Mophie Air in terms of performance. 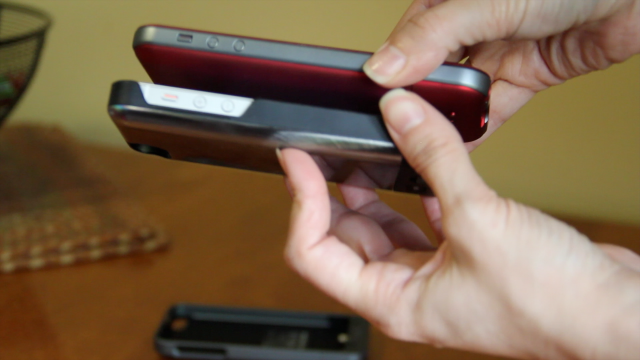 If you don’t mind the extra length the Mophie packs give your iPhone 5, I can recommend the Helium as a reliable case. Otherwise, the MyCharge Freedom 2000 is a more wieldy option for the same price, despite the way it makes the power button tough to press.